Background: The incidence of thrombocytopenia in intensive care units (ICUs) has been found to be 13 - 44%. We chose to study the incidence, risk factors and transfusion requirements of thrombocytopenia in tertiary care ICUs. 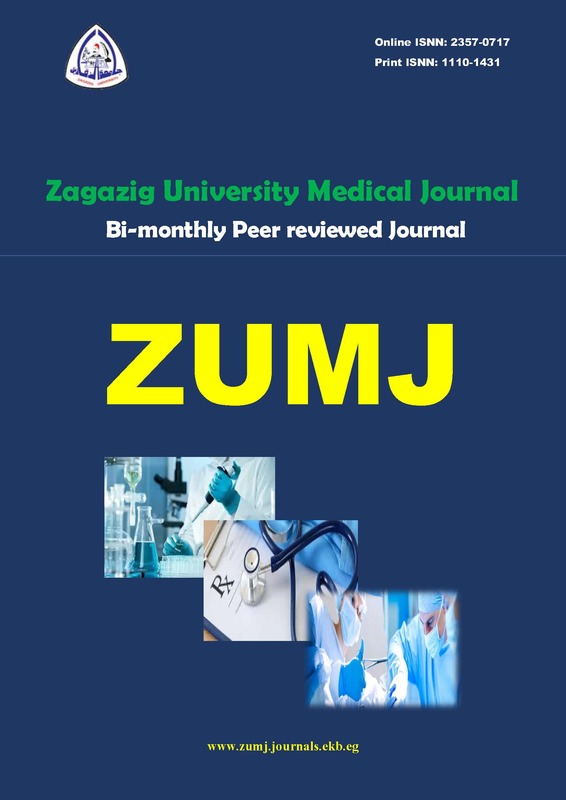 Objective: The purpose of this study to determine the period prevalence of thrombocytopenia whether admission thrombocytopenia (AT) or new onset thrombocytopenia (NOT) among Egyptian patients in medical ICU of Zagazig university hospital. To identify pattern of thrombocytopenia in critically ill patients including etiology, severity and timing pattern. To identify the impact of thrombocytopenia on the patients' outcome in MICU. Methods: This study was conducted in the Medical Intensive Care Unit (MICU) of the Internal Medicine Department Zagazig University Hospitals, Egypt, in the period extending from March 2017 to March 2018. Results: The study included 400 patients admitted consecutively to MICU of internal medicine hospital in Zagazig university fulfilling the inclusion criteria, sixty-six patients were excluded from the study because of incomplete data (17 patients), loss of follow up within the ICU (24 patient). 359 patients were eligible for analysis, those patients were classified into two groups. Conclusion: Thrombocytopenia is a frequent laboratory finding among critically in patients, which is generally correlated to the severity of illness. Most cases of thrombocytopenia are detected at time of admission and the rest of them develop during ICU stay. Among our Egyptian patients the most common cause of thrombocytopenia on admission is the chronic liver disease with liver cirrhosis, while the most common cause of thrombocytopenia which develop during ICU stay is sepsis. Thrombocytopenia is generally associated with higher APACHE II score when compared to normal platelet count indicating that it is associated with higher degree of morbidity and expected higher mortality rate.